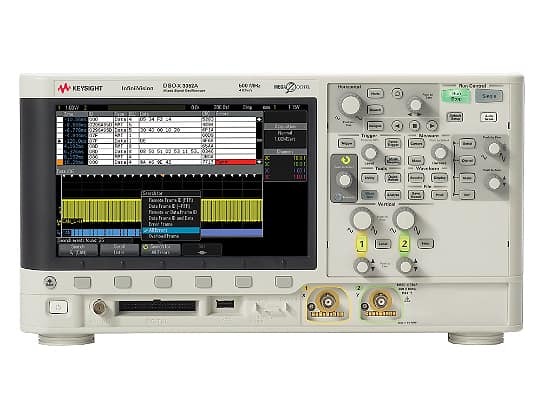 The Keysight InfiniiVision 3000 X-Series redefined oscilloscopes. 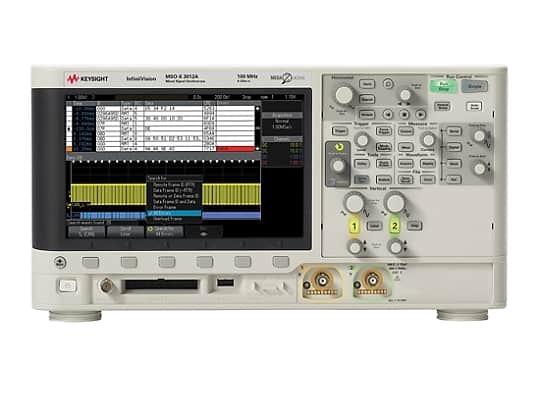 It sees the most signal detail, does more functions than any other oscilloscope, and gives you maximum investment protection. The 3000 X-Series’s innovation starts with the industry’s only 5-instruments-in-1 integration. The industry-leading one million waveforms per second update rate is 20 times faster than the competition to display the most signal detail. 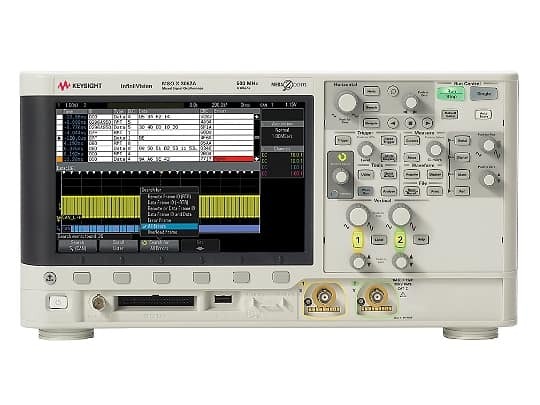 The 3000 X-Series provides maximum investment protection with fully-upgradable 5-instruments-in-1; even bandwidth is upgradable. Our breakthrough technology delivers more scope for the same budget. 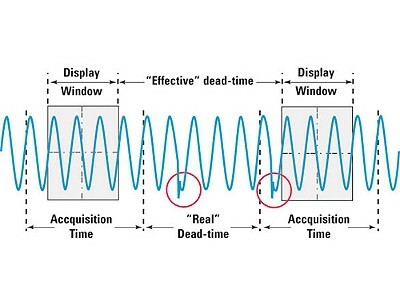 The best signal visibility starts with the largest display. 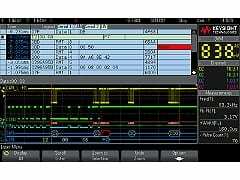 The InfiniiVision 3000 X-Series comes with a large 8.5-inch WVGA display so you can view analog, digital and serial signals easily on the screen. If you can’t see the problem, it is hard to troubleshoot it. With Keysight’s MegaZoom IV smart memory technology, the 3000 X-Series updates waveforms up to 1 million times per second, which gives you the highest probability of capturing random and infrequent events that you would miss on an oscilloscope with a lower waveform update rate. waveform update rates will be reduced significantly. 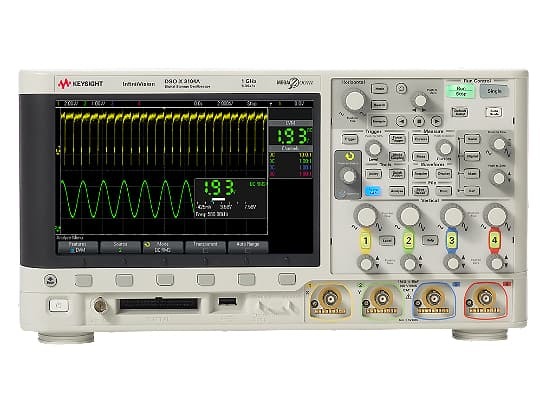 For this reason, most other oscilloscopes have manual memory-depth selections, and the typical default memory depth setting is usually relatively shallow (10 to 100 kpts). If you want to use deep memory in these other oscilloscopes, you must manually turn it on and deal with the update rate tradeoff. The InfiniiVision 3000 X-Series features up to 4 Mpts of memory with Keysight’s patented MegaZoom IV technology that is always enabled and always responsive providing the industry’s fastest update rate at up to 1 million waveforms per second, with no compromise if you turn on measurements, digital channels or protocol decodes. 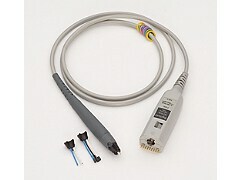 In addition, the 3000 X-Series offers 35 (50 with N2820A Series high-sensitivity AC/DC current probe) automated measurements, 10 parametric triggers, serial protocol triggers, as well as waveform math functions including FFT. 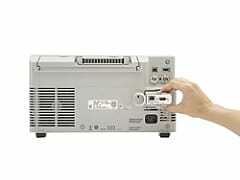 The 3000 X-Series is the first instrument in its class to offer an integrated and upgradable digital channel. 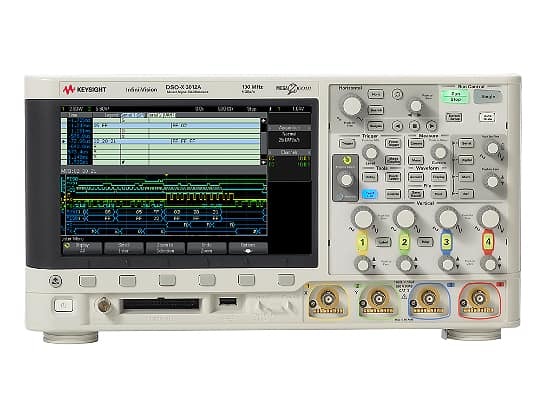 Digital content is everywhere in today’s designs and traditional 2 and 4 channel oscilloscopes do not always provide enough channels for the job at hand. With an additional 16 integrated digital channels, you now have up to 20 channels of time-correlated triggering, acquisition and viewing on the same instrument. Buy a 2 or 4 channel DSO and at any time, and upgrade it yourself to an MSO with a license to turn on those integrated 16 digital channels.